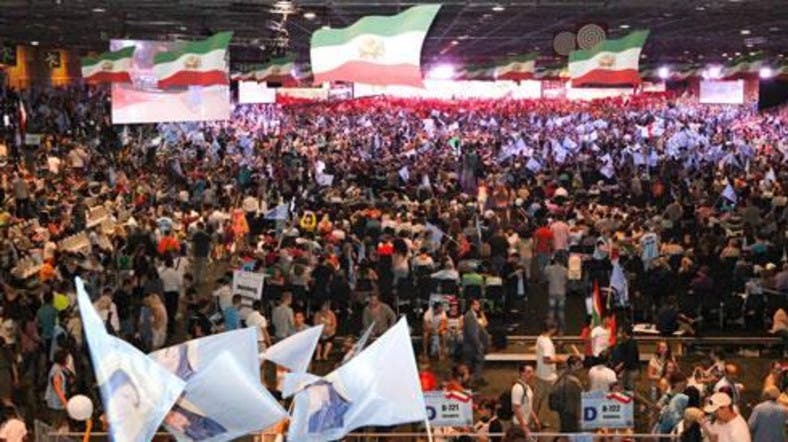 London, 2 July - This weekend, three terror plot suspects were arrested in France and Germany over an apparent terror attack plot to bomb a rally organized by the National Council of Resistance of Iran in Paris on Saturday. Two suspects in Belgium were intercepted by police on Saturday and were found with 500 grams of TATP, a home-made explosive produced of easily available chemicals. The couple, believed to be from Antwerp, were also found with a detonation device in their car, Belgian prosecutors and the intelligence services said. Legal sources also suggest a further three people were also detained in France over the terror plot during the Iranian conference. 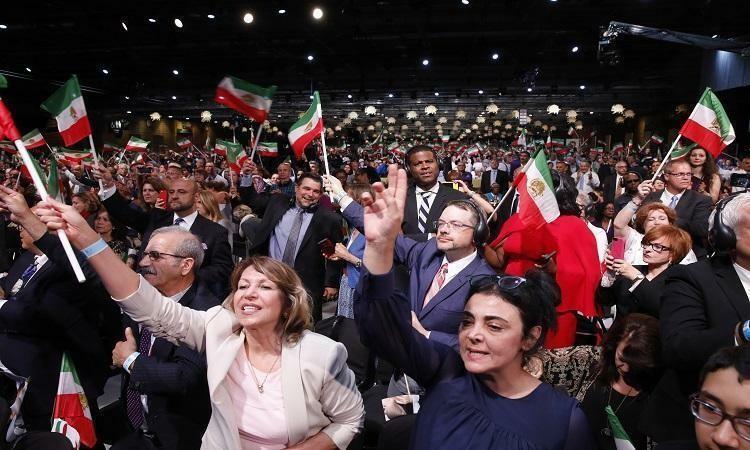 In its statement the NCRI once again reiterated the need to shut down the Iranian regime’s embassies and representative offices in Europe as centers of espionage and terrorism and expel the agents of the Ministry of Intelligence and the terrorist Quds Force from European countries. 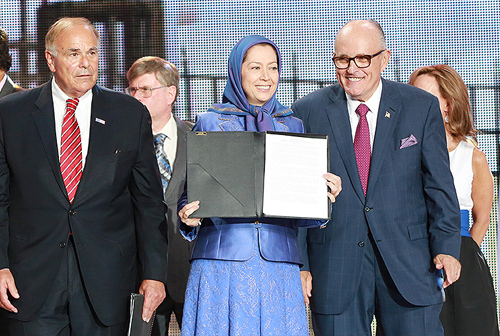 US President Donald Trump's lawyer Rudy Giuliani and several former European and Arab ministers were among those attending the meeting of the Paris-based NCRI on Saturday. 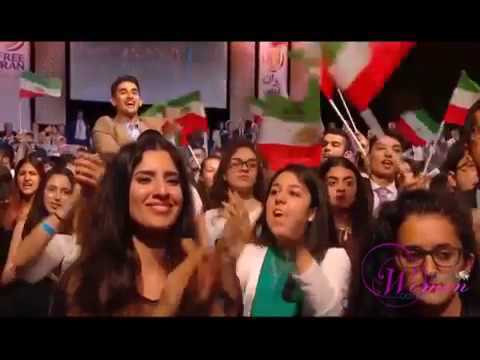 Mr. Giuliani used a fiery speech to tell the crowds that US President Donald Trump and his sanctions will help end the "murderous regime" in Iran. While Newt Gingrich, the former House Speaker and a close ally of Trump's, added that Europe must also impose tough restrictions on Iran - or face the wrath of his president. After hearing of the shocking terrorist plot today, Rudy Giuliani said: "All the participants at the Free Iran 2018 – The Alternative rally in Paris on June 30, appreciate and admire the fine work of law enforcement particularly in Belgium and France in arresting the terrorists who according to the Belgian Federal Prosecutor’s office were planning an attack on the gathering supporting freedom from the theocratic oppressive regime in Iran. "This accentuates the growing sense that the regime that is the biggest sponsor of terrorism in the world is increasingly weakened by constant large demonstrations in over 140 cities. 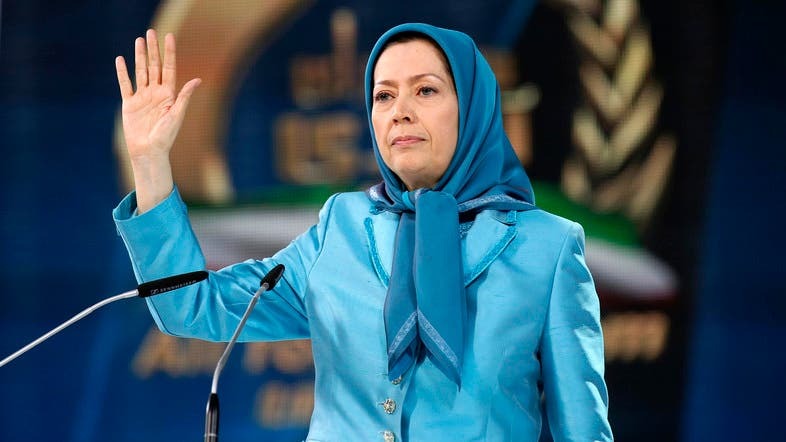 "It is also becoming apparent that Madam Maryam Rajavi and the NCRI pose a realistic alternative to this homicidal regime. "Nothing could be worse for these misogynists than a movement seen as replacing them headed by a heroic woman." 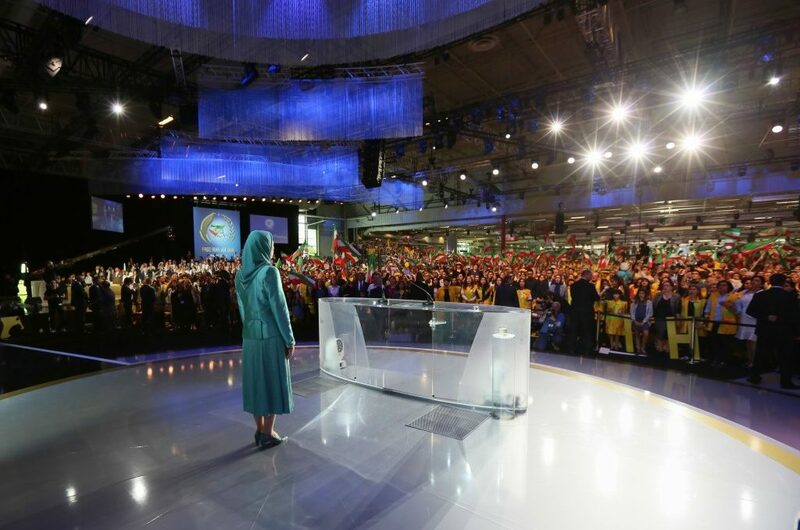 Maryam Rajavi, president-elect of the National Council of Resistance of Iran, delivers a speech during a gathering in Villepinte, near Paris, on June 30. A joint statement by Belgium's top prosecutor and the intelligence services said a 38-year-old man and a 33-year-old woman had been intercepted by Belgian agents on June 30. The two would be charged with attempted terrorist murder and preparation of a terrorist act. The diplomat at the Iranian Embassy in Vienna was arrested in Germany, according to the Belgian statement, which was released on July 2. The arrests coincided with a meeting of the National Council of Resistance of Iran, a collection of exiled opposition groups seeking an end to the Shi'ite government in Tehran. News reports said three other arrests were made in France. The arrests came as Iranian President Hassan Rouhani began a trip to Europe. In a post to Twitter, Iranian Foreign Minister Mohammad Javad Zarif suggested the arrests were a "false flag" operation. "How convenient: Just as we embark on a presidential visit to Europe, an alleged Iranian operation and its 'plotters' arrested," Zarif tweeted. 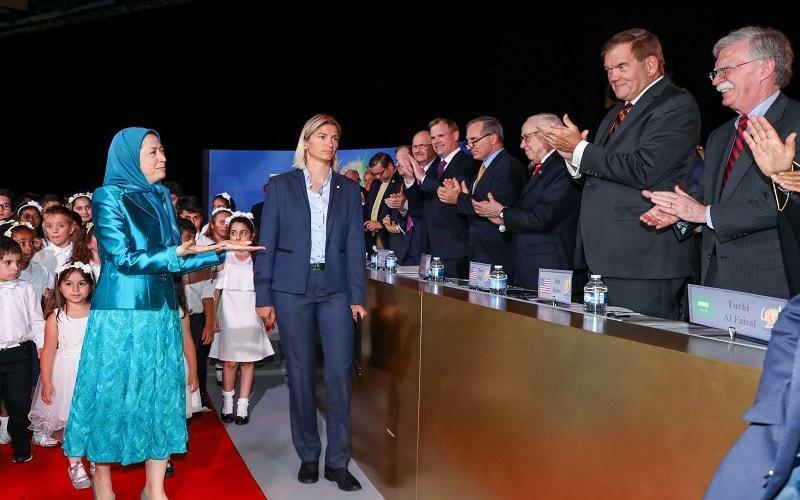 Supporters of Maryam Rajavi, president-elect of the National Council of Resistance of Iran, at a rally near Paris on June 30. The event was the target of an alleged terror plot. PARIS—France froze assets of Iran’s intelligence agency and two agents in retaliation for an alleged Iranian terror plot on French soil, seeking to punish Tehran for planning terror activities in Europe even as the French government tries to salvage the Iran nuclear deal. The freeze will apply for at least six months to two officials—Assadollah Asadi and Saeid Hashemi Moghadam—whom European authorities allege were involved in the foiled attack, and the internal security directorate of Iran’s intelligence ministry. The moves mark an attempt by the French government to discipline Iran for a plot it has linked directly to Iranian government officials without undermining talks over the Iranian nuclear accord, Europe’s top diplomatic priority with Tehran. European governments are scrambling to keep Iran signed on to the deal after Washington withdrew from the agreement and reimposed sanctions on Tehran. The U.S. and Israel, Iran’s main international opponents, have used the foiled attack to urge Europe to abandon its support for the accord. 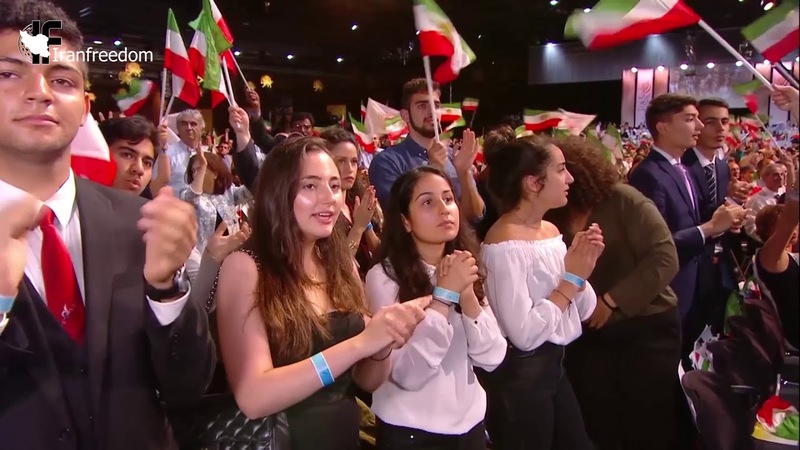 They allege that Iran has an extensive covert-operations network that is hunting down opponents of the regime on European soil. The alleged Iranian operation “confirms the necessity of a forceful approach in our relations with Iran,” French Foreign Minister Jean-Yves Le Drian said on Tuesday. It remains unclear what assets the Iranian intelligence officials and the directorate hold in France, if any. Foreign Ministry spokesman Bahram Ghasemi denied accusations of Iranian involvement in the bomb plot, the ministry’s website said. 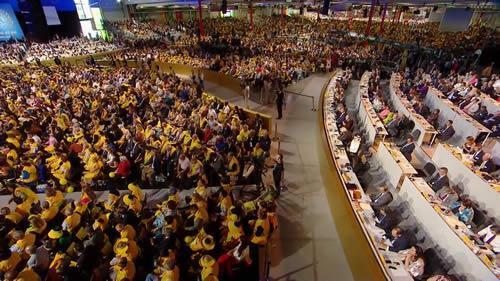 The plot targeted the annual meeting of the National Council of Resistance of Iran, an umbrella organization of Iranian opposition groups whose main backer is the Mujahedin-e Khalq, or MeK. The meeting typically draws a roster of U.S. politicians with hawkish views on Iran but who no longer hold office and lack direct influence over U.S. policy. This year, however, the headline speaker was Rudy Giuliani, one of President Trump’s personal attorneys and a close informal adviser. On June 30, the morning of the meeting, Belgian police arrested an Iranian-born couple in Brussels carrying more than a pound of TATP, a powerful homemade explosive, in their car. Belgian authorities alleged that the couple was planning to drive to the meeting outside Paris in Villepinte, France, and detonate the explosives. At the same time, German police arrested Mr. Asadi, who was stationed as a diplomat at the Iranian Embassy in Austria, as he was driving back from Luxembourg. Prosecutors allege that Mr. Asadi gave the bomb to the Iranian couple at a meeting in Luxembourg. A German court has authorized Mr. Asadi’s extradition to Belgium, refuting arguments that Mr. Asadi should be allowed to return to Iran because of his diplomatic immunity. Mr. Moghadam is a senior intelligence official in Tehran who gave orders in the operation, a French official said. French police also arrested an alleged accomplice in France. In July, Dutch authorities said they had expelled two Iranian diplomats whom foreign officials say were linked to the assassinations of at least one Iranian dissident, Ahmad Mola Nissi. He was shot and killed in November by a masked assassin in The Hague. U.S. officials believe Iran’s Ministry of Intelligence and Security was involved. Dutch authorities are investigating.